The nursing division works as a member of a medical team on the immediate side of the patients in a wide range from athletes to the elderly, with a spirit of compassion, kindness and service in order to create a hospital, the like of which helps patients feel relieved. 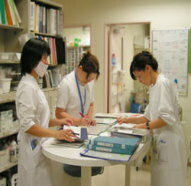 We are aiming for high-quality nursing with a rich spirit and sensitivity, based on human respect. We will try our best to creat a hospital, the like of which helps patients and their family feel safe, secure and relieved. Not only does the nursing staff join in a doctor’s preoperative conference but also discusses the cases in the other occupations that are different from the patients in our hospital. 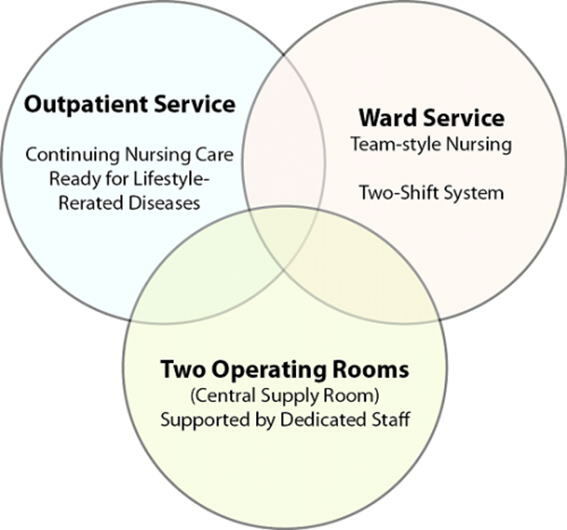 This way, the nursing staff can share a treatment policy with doctors and try to solve problems for the recovery of patients. 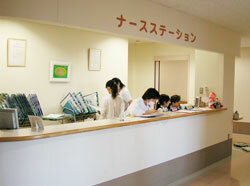 Considering the health of the patient, they organize a medical team and hold working sessions repeatedly to prevent lifestyle-related diseases. We will refine awareness and sensitivity as professionals. 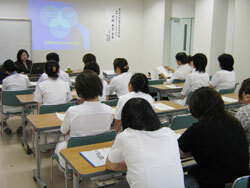 We are striving to create a work environment where we can demonstrate the expertise of nursing. 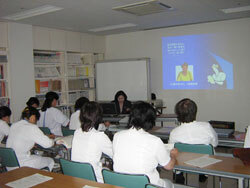 We are also working on nursing research with the aim of improving the quality of nursing.